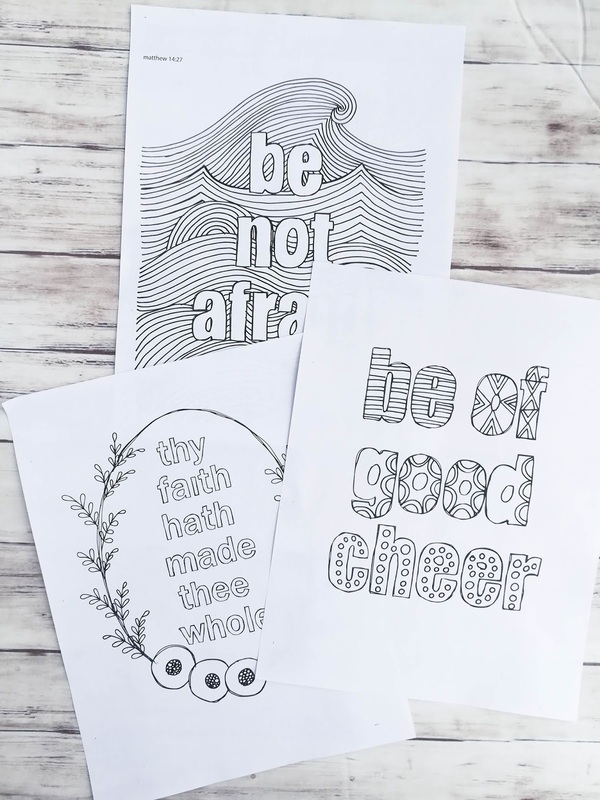 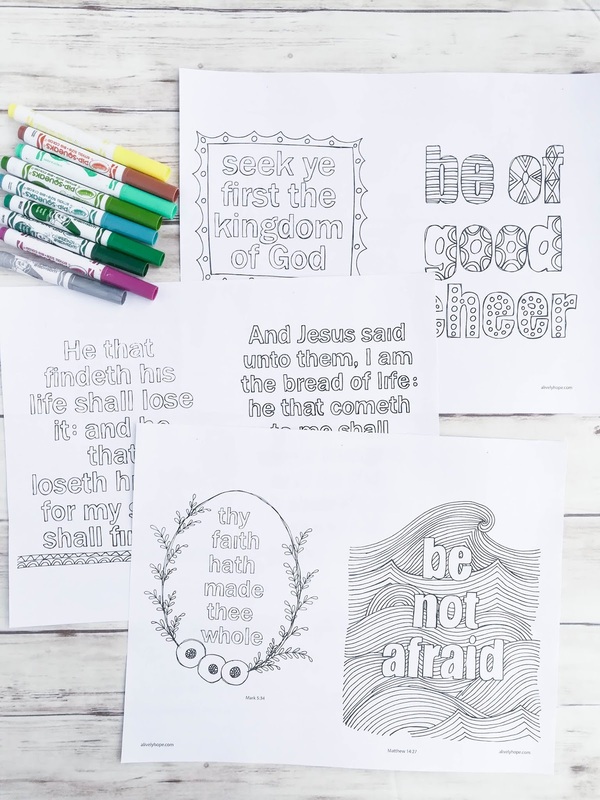 Coloring pages that go along with the March 2019 lessons of the Come Follow Me LDS curriculum. These seven coloring pages come directly from the King James New Testament. They are hand-lettered and perfect for helping your family to memorize scriptures or to add to your scripture journal. "And Jesus said unto them' I am the bread of life: he that cometh to me shall to me shall never hunger; and he that believeth on me shall never thirst." 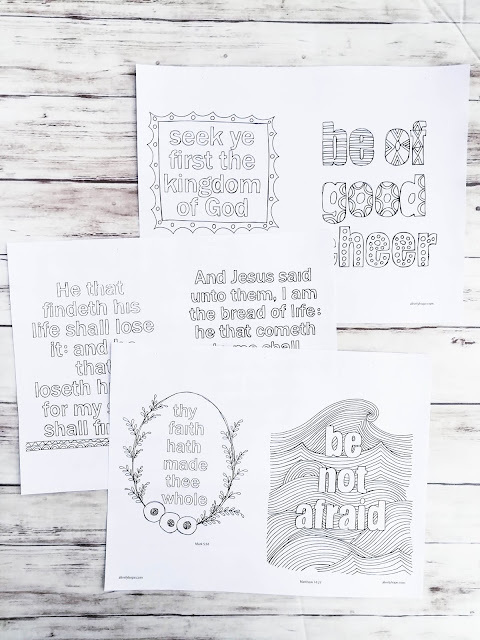 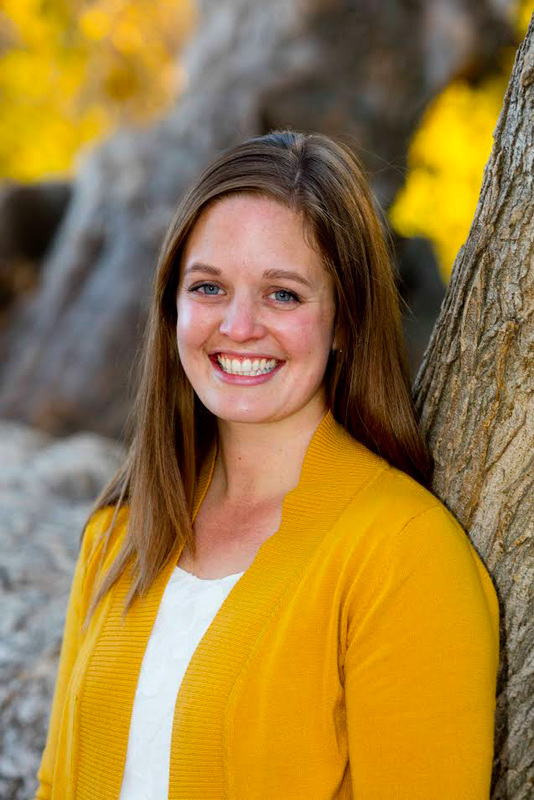 post around your house to help your family internalize the powerful messages of the scriptures. 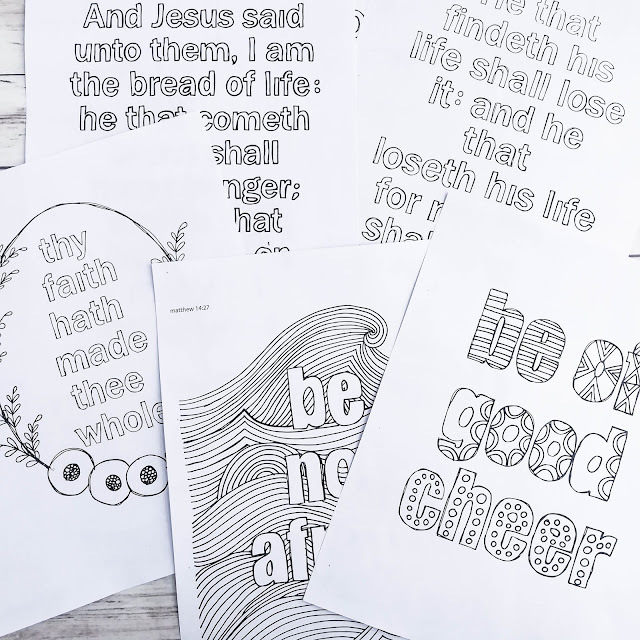 Find more New Testament Coloring pages here.